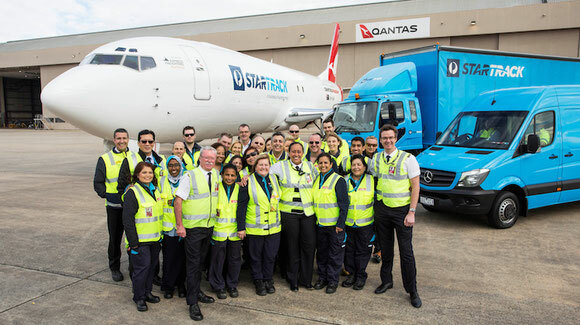 Australia Post and Qantas Freight have announced the addition of a B737-400 freighter to the dedicated domestic air network used exclusively by Australia Post and StarTrack customers. The aircraft joins the Qantas Freight fleet which delivers domestic mail, parcels and Express Post for Australia Post and its subsidiary StarTrack Express as part of a five-year, A$500 million contract signed in 2015. The 737-400F, which joins five other aircraft in the dedicated fleet, is capable of carrying 16,500kg of cargo and is the largest freighter aircraft operating scheduled services in Australia, the postal operator said. “We know that online shopping continues to grow because of the price, range and convenience of products available on domestic and international marketplaces. We’ve continued to make significant investments in our delivery network because we’re committed to helping Australian businesses grow by meeting the changing needs of their customers,” Bob Black, Australia Post Group Chief Operations Officer and StarTrack CEO, said.